The University of Dayton team celebrates its ASCE Sustainable Design Award. Pictured, from left, Amnah Altaher, Dr. Amy Ciric, Oliver Winter, Matthew Worsham, Katie Willard, Dr. Jun-Ki Choi, and ASCE Region 2 Governor John Casana. This year’s winner of ASCE’s award for the best sustainable engineering design by a student team is a STAR. 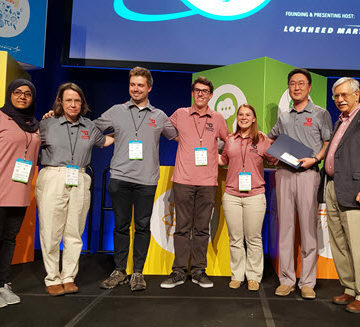 The team from Ohio’s University of Dayton won the 2016 Sustainable Development Award for its Solar Thermal Adsorption Refrigerator prototype, given at the annual EPA P3 (People, Prosperity, and the Planet) competition at the recent USA Science and Engineering Festival in Washington, DC. The project began in 2012 as a partnership between UD and the Solar Alternatives and Associated Programmes in Patna, India. Electricity there, and especially among the rural regions in the state of Bihar, is unreliable, making it difficult for clinics to refrigerate vaccines. The full vaccination rates for children in the region are very low. What sets the STAR apart from other solar refrigerators is its use of activated carbon-ethanol to generate evaporative temperatures between two and eight degrees Celsius. Charcoal is the key adsorbing agent. Dayton students went to to Bihar in 2014 to learn firsthand about the refrigeration challenge, as part of its Engineers in Technical Humanitarian Opportunities of Service Learning (ETHOS) program. 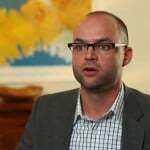 “Once you go to Patna and you work with this partner organization, you kind of understand why we’re working so hard to make this technology a reality in the near future in wide deployment,” said Dayton graduate student Matthew Worsham, who has worked on the project for three years. The SAAP team in India has been working in conjunction with the Dayton group on STAR prototypes. “We as ETHOS students are taught to look at this type of work as building solidarity and not as people trying to save somebody,” Worsham said. “That’s why we partner with established organizations that can teach us as much as we can hopefully assist them. 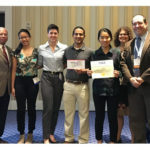 This is the 12th year that ASCE has presented an award at the EPA P3 student design competition. The P3 Award is broken into two phases. The teams that won grants in Phase I – including the group from Dayton – presented at the Science and Engineering Festival. The Phase II winner of $75,000 will be announced later this spring. 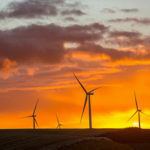 The ASCE Committee on Sustainability sponsors the Sustainable Development Award of $1,000, sustainability being defined by ASCE as serving communities, restoring the environment, and reducing life-cycle costs. The $1,000 award recognizes the student team whose project solves a pressing need in a developing country based on three criteria – use of local raw materials, simplicity of design, and widespread impact on quality of life for the developing region. Members of the National Capital Section’s Sustainability Committee, led by Alex Rosenheim, serve as award judges. “It met all of our criteria,” said John Casana, P.E., D.WRE, M.ASCE, the award presenter and one of the judges. “It can be a lifesaving situation. 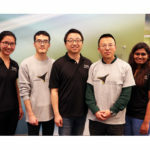 It clearly has a significant impact.” With the tests passed and proof of concept demonstrated, the team at UD now hopes to continue to quantify key factors and refine the design as they push toward making a refrigerator that is ready for the market in India.